Welcome home to a beautiful 2-story home, 3 bedrooms, 2.5 baths with a bonus room in Canons Edge! This home comes with a covered front porch just waiting for your rocking chairs and hanging baskets. The foyer welcomes you in, opening to the living room. The chef in the family is sure to love with kitchen! Flat pane, staggered cabinets topped with modern laminate counters. Stainless appliances include a smooth-top range, microwave hood, and dishwasher. Open to the dining area. Separate laundry room and a half bath which are found on the first floor. All bedrooms are found upstairs, keeping everyone close for comfort. The master suite boasts an alluring tray ceiling, ceiling fan, and a huge walk-in-closet. Master bathroom has a double vanity topped with cultured marble counters, full view custom mirror, ceramic tile flooring, separate shower and soaking tub. Entertain guests all summer long on the open patio. So much to love about this stunning home. Hurry this rental won't last long! Directions:Gum Branch Road toward Richlands. Right on Cow Horn Road. Right into Canons Edge. Follow Prelude Drive. Home will be on the right. SchoolsClick map icons below to view information for schools near 145 Prelude Drive Richlands, NC 28574. Listing provided courtesy of Sea Coast Property Management. Home for sale at 145 Prelude Drive Richlands, NC 28574. Description: The home at 145 Prelude Drive Richlands, NC 28574 with the MLS Number 100149825 is currently listed at $1,250 and has been on the Richlands market for 69 days. 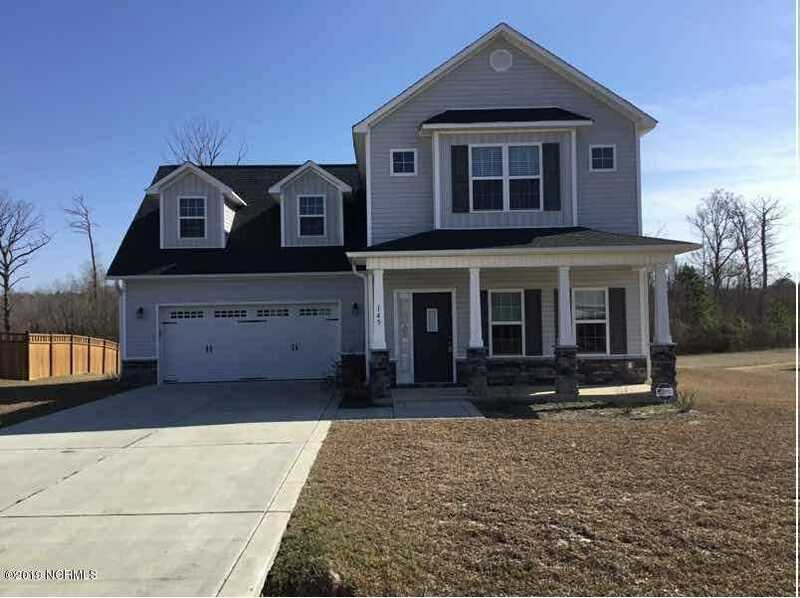 You are viewing the MLS property details of the home for sale at 145 Prelude Drive Richlands, NC 28574, which is located in the Canons Edge subdivision, includes 3 bedrooms and 3 bathrooms, and has approximately 0 sq.ft. of living area.